General Hospital Spoilers: The Jailhouse Rock...We Mean Wedding! General Hospital Spoilers: The Jailhouse Rock… We Mean Wedding! 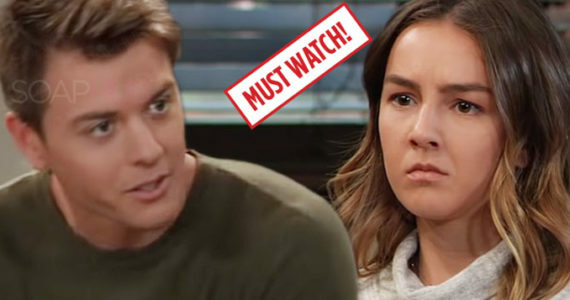 General Hospital spoilers for Thursday, February 14 promise quite the Valentine’s Day to remember for your favorite Port Charles pals. Romance is in the air, surprises abound, and wedding bells even ring, so let’s dig in to some love in the afternoon. It was nearly a year ago when Elizabeth (Rebecca Herbst) stood in a church waiting for Franco and a little earthquake got in their way. The two planned to wed again this fall, but then Kiki was killed and they knew it was the wrong time. Well, will there ever be a right time to do what Elizabeth and Franco (Roger Howarth) want most of all– just get married? With everything that goes wrong for them, Liz feels something has to go right. So what if Franco is now in jail accused of killing Kiki (among others)? It doesn’t matter. They may as well get married now and be man and wife. Franco isn’t sure this is the right thing, but Elizabeth insists and so it will be. They finally become man and wife in their own unique way because this is one unique couple. So Liz never married, Drew thought he was Jason and then the real Jason arrived. Now Sam (Kelly Monaco) is back with the real Jason, but has to keep it on the DL as she spends her Valentine’s Day with Shiloh (Coby Ryan McLaughlin) in her super-secret undercover, con-woman way.